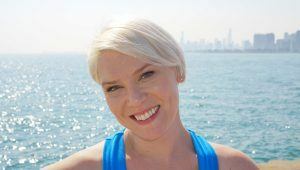 LoganFit, Pilates with Logan Hutt, is now in residence at Lincoln Park Chiropractic. Schedule one on one training in a private Pilates session with a knowledgeable, experienced, and caring instructor. Logan is BASI and PMA certified, and is also Master Trainer for both bootybarre and WERQ Dance Fitness. A dancer (all her life) and a fitness instructor, Logan is experienced with all ages, body types, and levels of experience. Through Pilates, she can help you to strengthen muscles, improve core strength, increase flexibility and stability, and improve your overall health. To set up an appointment or to get more information, call (714) 745-5774 or email logan8r@yahoo.com.